Katie has been working in the field of sustainability for over twenty years, having completed an MSc in Environmental Sciences. Katie is an EMA Registered ESOS Leads Assessor, and has undertaken and led a significant number of assessments during Phase 1, and continues this work into Phase 2. She is also a Sustainable Energy Authority of Ireland (SEAI) Registered Auditor, enabling her to undertake ESOS equivalent assessments in the Republic of Ireland. 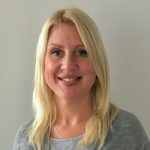 Katie works across a variety of industrial sectors, and her experience is within a wide number of specialisms, including energy management; designing and implementing ISO 14001 systems; Environmental Planning; carbon foot and greenhouse gas assessments and verification, assurance and compliance support.